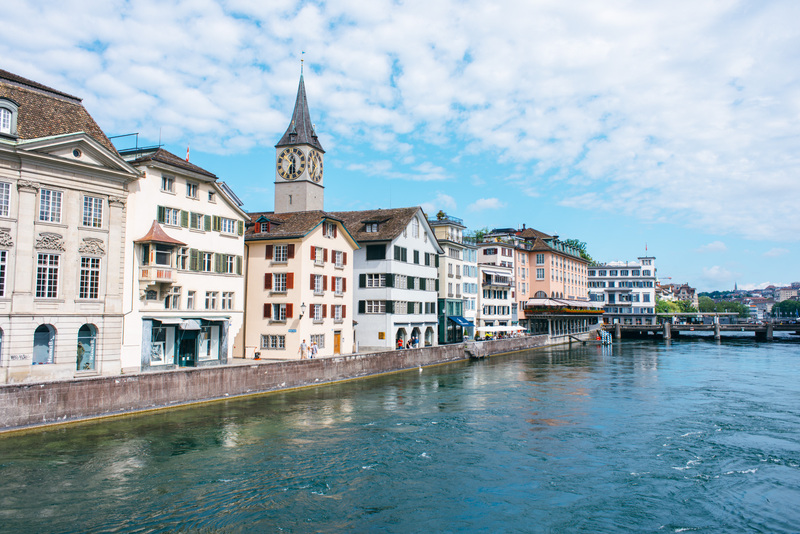 A city rich in history with a flourishing art and food scene, Zurich certainly took us by surprise. After an overnight flight (thanks to Lufthansa’s unforgettable business class) and a short stay in Frankfurt, we headed to Switzerland’s largest city by train. On arrival we checked into the new 25 Hours Hotel West and immediately set out to explore. 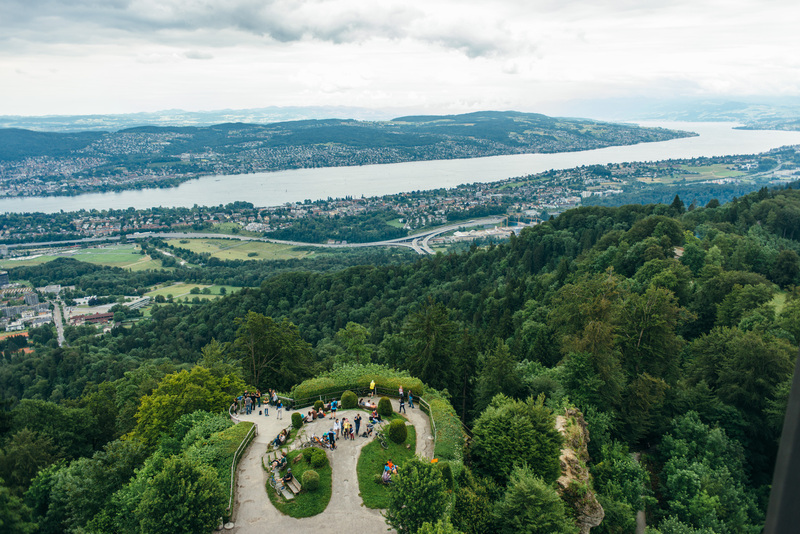 Despite the fact that our trip was just 3 days, Zurich Tourism had orchestrated a brilliant itinerary that gave us a very impressive taste of what Zurich has to offer. 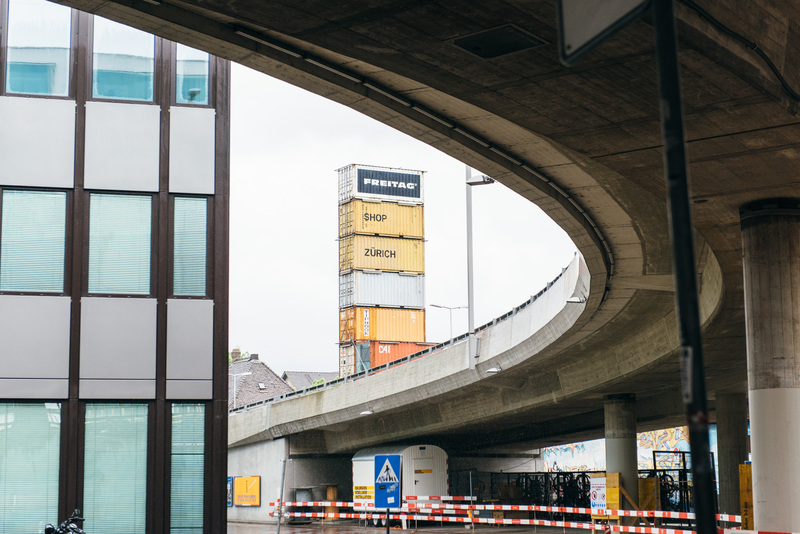 We spent a day getting to know the up and coming part of the city called Zurich West. Similar to some neighborhoods of Brooklyn, it was an industrial part of the city that is now teeming with trendy pop up shops and beer gardens. 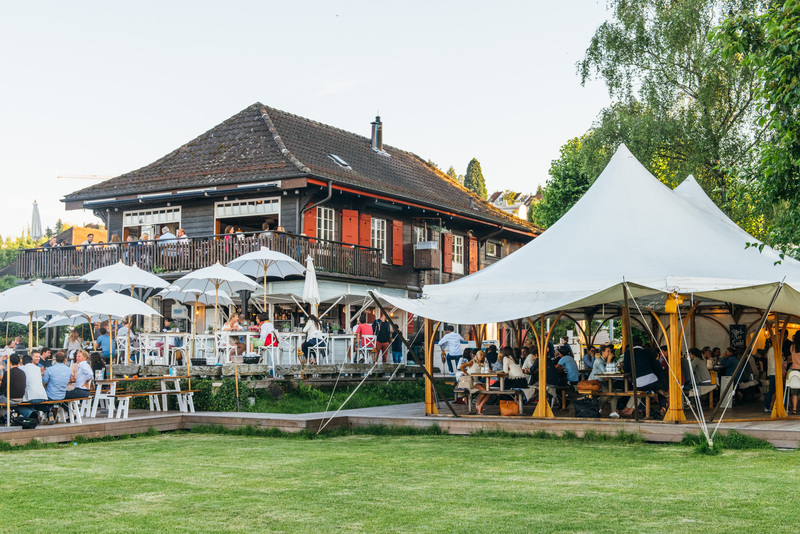 One in particular, Frau Gerold’s Garten, was packed with locals watching the Swiss football team play in the World Cup. 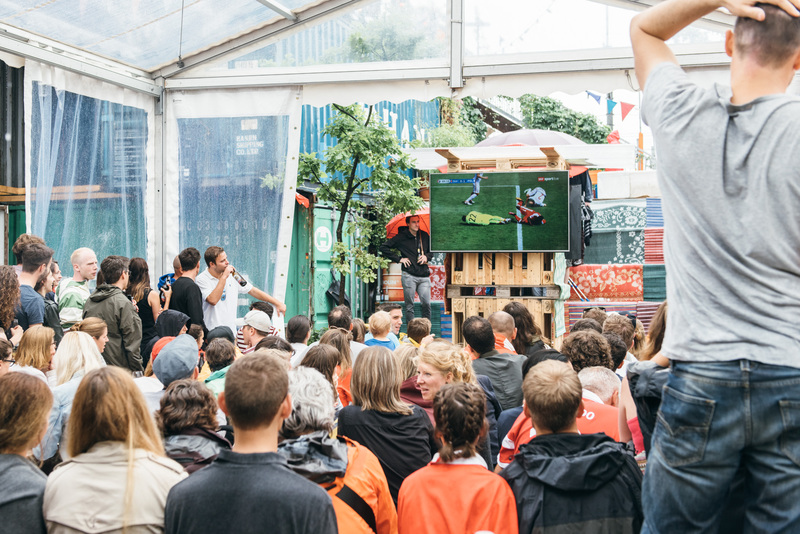 We climbed 8 flights to the top of the flagship Freitag store, built from 17 stacked shipping containers, and when Switzerland scored a goal, the crowds erupted in celebration shaking the entire structure. The energy was contagious though, and the view from the top was worth the unsettling feeling of swaying back and forth. As we continued our walking tour of Zurich West, we stumbled upon the IM Viaduct. 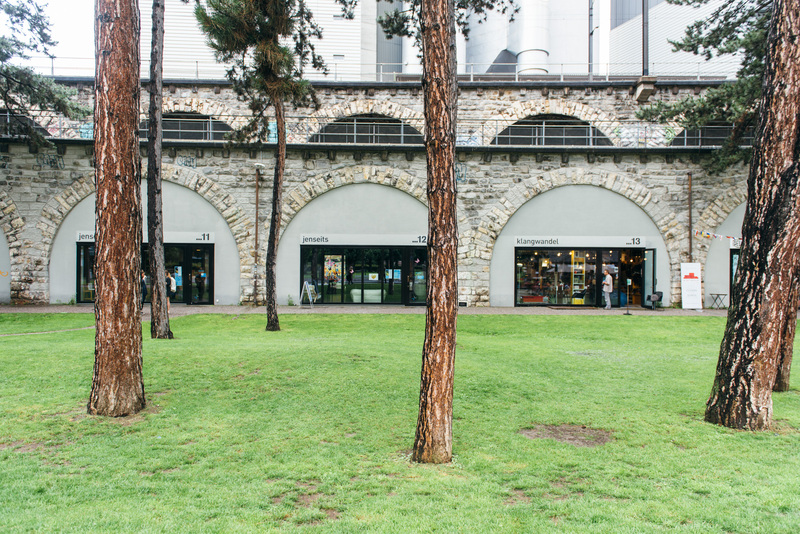 Built into the Viaduct, this beautiful part of Zurich has been transformed with small shops built into each arch of the original structure. For dinner we stopped at one of them, the Restaurant Markthalle, set in the midst of a bustling local market within the Viaduct. 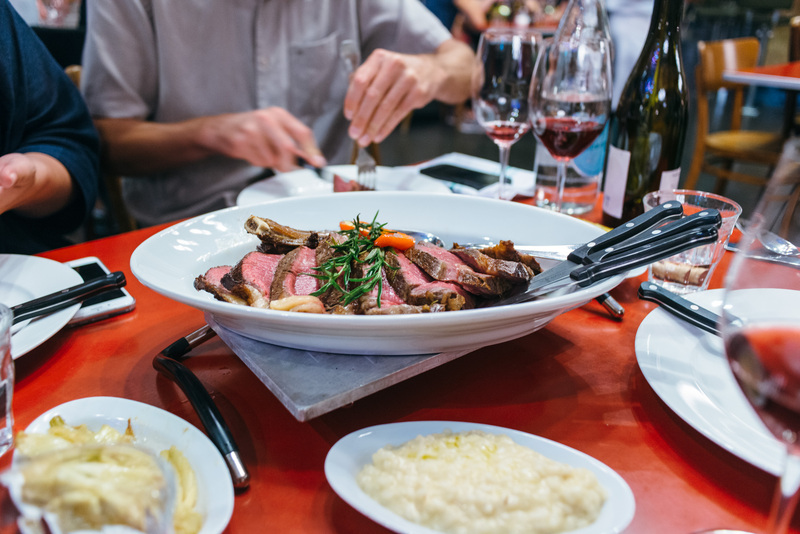 Our waiter helped us select an incredible range of local and seasonal dishes to share. We feasted on veggies, meat, local fish and plenty of wine! Once we got to know Zurich West a bit, we were curious to see the historic Old Town Niederdorf. It’s as if you’ve stepped back in time, with quaint streets at every corner. We especially loved the combination of classic European charm with modern shops and restaurants. 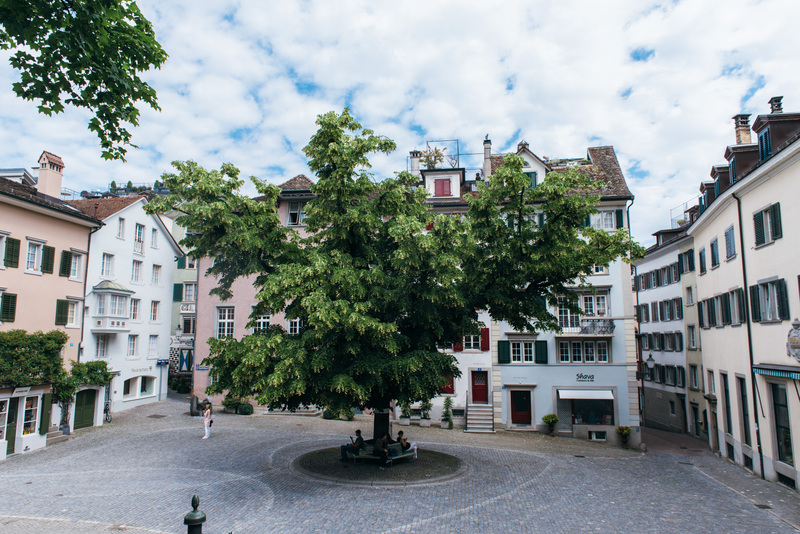 During our Old Town explorations, we had the pleasure of eating at Kantorei for original wienerschnitzel, and the famous Swiss Chuchi Restaurant, the first fondue parlor in Zurich. 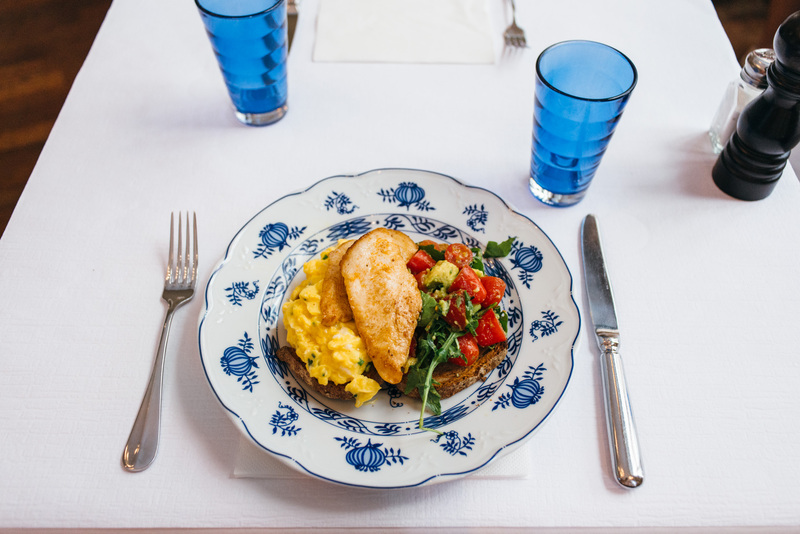 No better place to embrace the classic meals of Switzerland! To top off our meals for the day we spent the evening sampling delicious cuisine at HILTL, which was founded in 1898 and claims to be the first vegetarian restaurant in the world. Although we did do a lot of walking, the train system in Switzerland is unbelievably precise and convenient. We were fortunate to have a Swiss TravelPass which is the ultimate way to get around the entire country. Just a quick 20-min train ride and we were enjoying epic 360º views of the city with the Swiss Alps in the background from Uetliberg. Unbeknownst to us we happened to be in Zurich for Manifesta, a roving european biennial of contemporary art that changes locations every two years. For it’s 11th show, Manifesta’s theme is “What People Do for Money: Some Joint Ventures”. 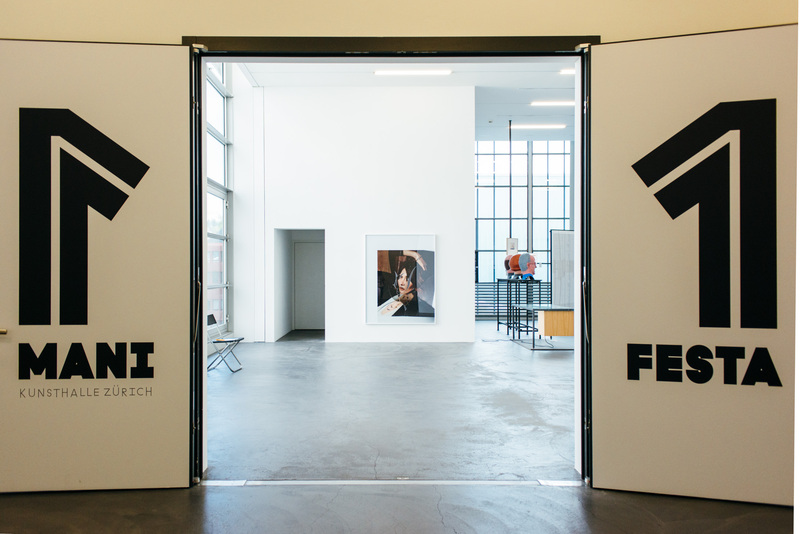 30 international artists collaborated with a chosen host who works in Zurich’s diverse workforce. Essentially an art installation throughout the city, it encourages locals and tourists alike to explore the area through contemporary art. Manifesta continues until September 18, 2016, so if you’re in Zurich during this time be sure to check it out! 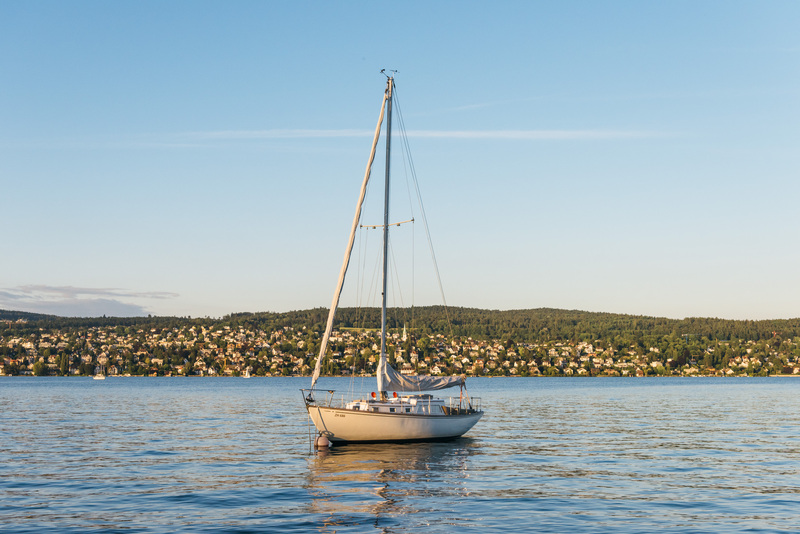 Much of the city revolves around beautiful Lake Zurich which offers a plethora of activities. 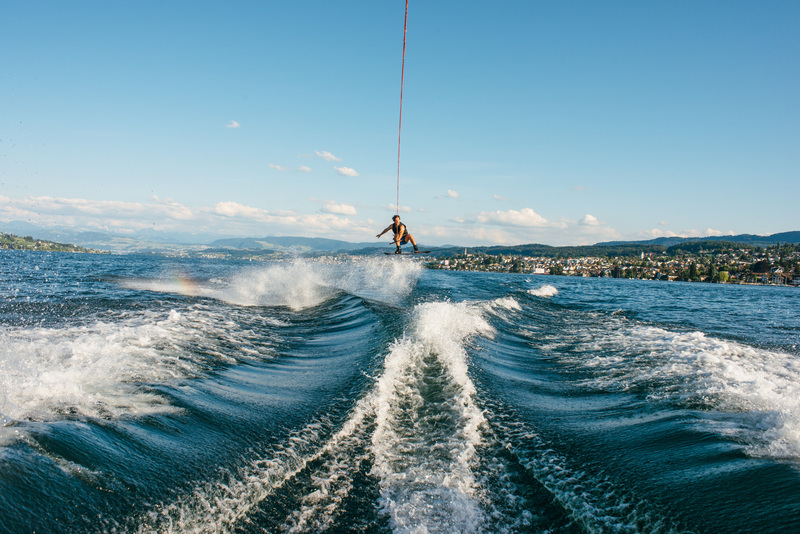 We were thrilled to get out on the water for a day of wakeboarding and wake surfing, capping it off with a delicious meal at Fischer’s Fritz. After a late night eating delicious fish and drinking wine, we camped on the lake right next door to the restaurant which offers beautifully designed safari tents. On top of all the other incredible experiences that we had in Switzerland, even our travel day back to New York was an absolute dream thanks to Swiss Air’s wonderful business class lounge and flight. We had such an incredible time on this trip, we can’t wait to return and spend more time getting to know Zurich and the surrounding areas!